RESTON, VA--(Marketwire - Sep 12, 2012) - Netuitive, a leading provider of predictive analytics software for IT, today announced general availability of Netuitive 6.0. 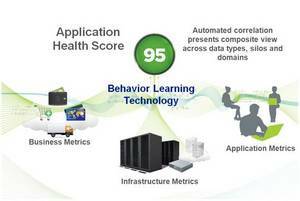 Based on patented Behavior Learning technology, Netuitive 6.0, the industry's first predictive analytics platform with an open API, is a game-changing leap forward in application performance management (APM). eliminating vendor lock-in while delivering the extensible data integration and correlation capabilities essential for end-to-end application performance management. "As large organizations seek to ascend Gartner's IT maturity model, they are leveraging powerful IT Operations Analytics powered by Behavior Learning Engines (BLEs) in their pursuit of proactive application performance management," said Will Cappelli, senior analyst, Gartner. "Only through the ability to effectively correlate and understand interdependencies and impact of IT, business metrics and APM data, can large organizations begin to manage performance proactively across IT, customer experience, and business metrics." "The open nature of Netuitive 6.0 enables new levels of extensibility while delivering the tools and analytics necessary to turn complex IT, APM and business metrics into actionable insight," said Nicola Sanna, CEO, Netuitive. "We are proud to deliver the industry's first open predictive analytics solution capable of providing the cross-silo insight required for application owners and CIOs to finally see the impact of IT performance on the business." Netuitive Integration Studio - An industry-first SDK empowers users to integrate and correlate data streams from any monitoring source. Complements Netuitive's existing integrations with more than 30 leading monitoring tools from leaders such as CA, BMC, HP, IBM, VMware, Microsoft, Compuware, EMC, NetApp, Oracle, and many others. Advanced Monitoring of Complex Java Application Data - Simplifies troubleshooting workflow automatically isolating problems and delivering proactive notifications of impending performance issues. Enhanced APM Graphical User Interface - Provides real-time visibility into the health of applications performance management across data types, silos and domains. Netuitive provides predictive analytics software for IT. Netuitive replaces human guesswork with automated mathematics and analysis to help companies to visualise, isolate, and proactively address application performance issues before they impact quality of service. Hundreds of customers, including eight of the 10 largest banks, rely on Netuitive to proactively manage the performance of their critical applications and underlying IT infrastructures -- physical, virtual and cloud. Industry recognition includes the 2011 "CTO Award for Innovation" from Morgan Stanley, the 2011 CODiE Award for "Best Systems Management Solution," the 2010 EMA Award for "Best Analytics," and "Best of VMworld" Awards in 2007, 2009 and 2011. For more information, visit www.netuitive.com. Netuitive 6.0 provides real-time visibility into the health of critical application performance across data types, silos and domains. This enables organizations to manage performance proactively across IT, customer experience, and business metrics.